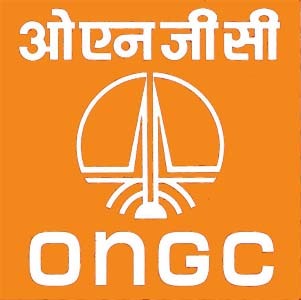 Stock market analyst Rahul Mohinder has maintained 'buy' rating on Oil & Natural Gas Corporation Limited (ONGC) stock with an intra-day target of Rs 1445. The strict stop loss for the stock will be Rs 1387. The stock of the company, on Sep 20, closed at Rs 1402.40 on the Bombay Stock Exchange (BSE). The share price has seen a 52-week high of Rs 1451.90 and a low of Rs 1009.50 on BSE. Current EPS & P/E ratio stood at 72.84 and 19.27 respectively. ONGC's wholly owned arm ONGC Videsh (OVL) has recorded a net profit worth Rs 8.46 billion for the first quarter of the existing fiscal year (2010-11). During the last fiscal, the company's total net profit was Rs 20.90 billion. At present, OVL has participation in 40 projects in 15 nations, out of which 9 are making assets. On Sep 11, Oil Secretary S. Sundareshan stated that ONGC is ready to make a combined bid with Petrovietnam for BP`s Vietnam assets after finishing assessment of them in the coming weeks. ONGC, Aug 27, declared that its has sanctioned new prospect discovery, exploratory well vadatal - 1 in Western Onshore Basin, NELP - VI Block developing 278 bbls of oil on a daily basis. The board has sanctioned a total investment of Rs 3.72 billion for expansion of BHE and BH-35 region in Western Offshore.